My nails for the Cosmo Blog Awards. I had originally wanted to have glitter somewhere in my outfit but it wasn't working out so I went with my nails instead. I got this tutorial from a Beautylish newsletter I received and thought hey perfect time to use my glitter pieces from Born Pretty. 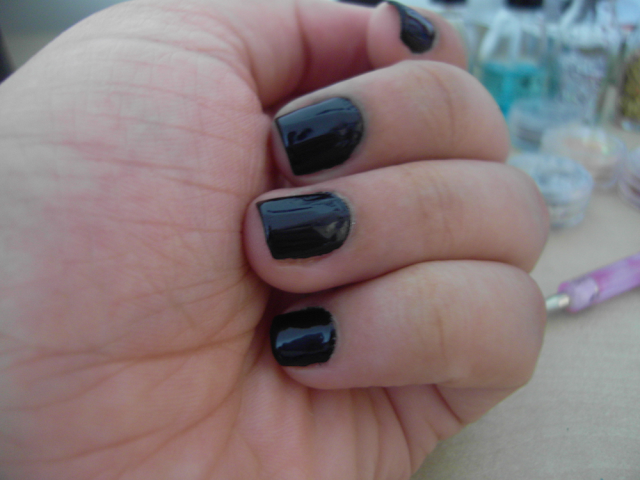 I started off with OPI Nail Envy as my base and did two coats of AVON SpeedDry+ "Twilight Blue" and let that speedily dry. A metallic silver would work so much better but not having one to hand Deborah Lippmann "Kitty" (from Octobers Glossy Box) was the next best thing. Repeating the same steps as I did above. Cutting pieces of gold glitter sheets into smaller pieces. ( You may want to do this before you anything ) I did a thin coat of Save The Nail "45 seconds coat" and using a toothpick/cocktail stick I picked them up and randomly put them onto my nails, even overlapping some of the metallic spots. Repeat on your opposite hand and viola (: finished. What do you think? 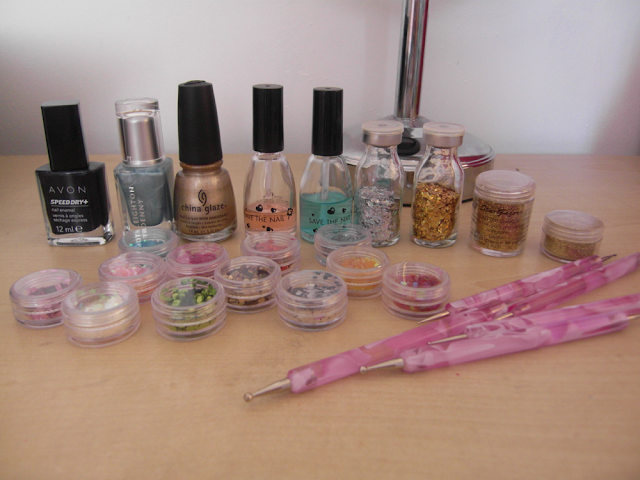 Enjoy the sparkles on nails? Love these nails! I like the geometric look with the circles and triangle glitter pieces. 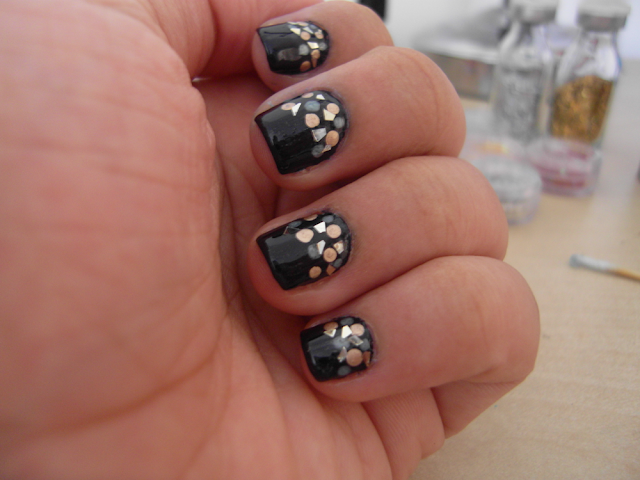 I really love these nails, its so simple yet the Metallic really makes them look beautiful. Probably going to try this as soon as possible! I love this idea, very nice with circles and shapes together as Melanie said, going to have to try this! those nails are awesome! I want to try it out myself.